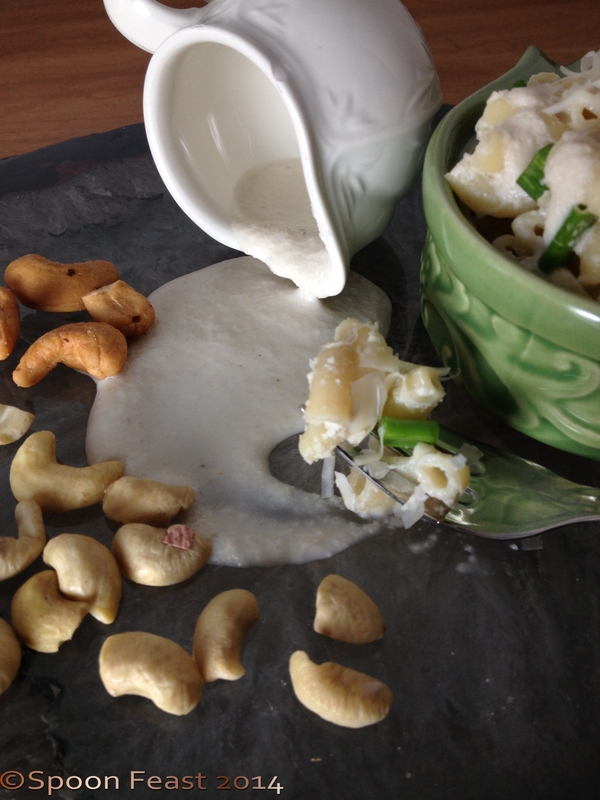 Cashew cream is easy to make, tasty and versatile. Use it to replace cream and sometimes ricotta cheese in many recipes. 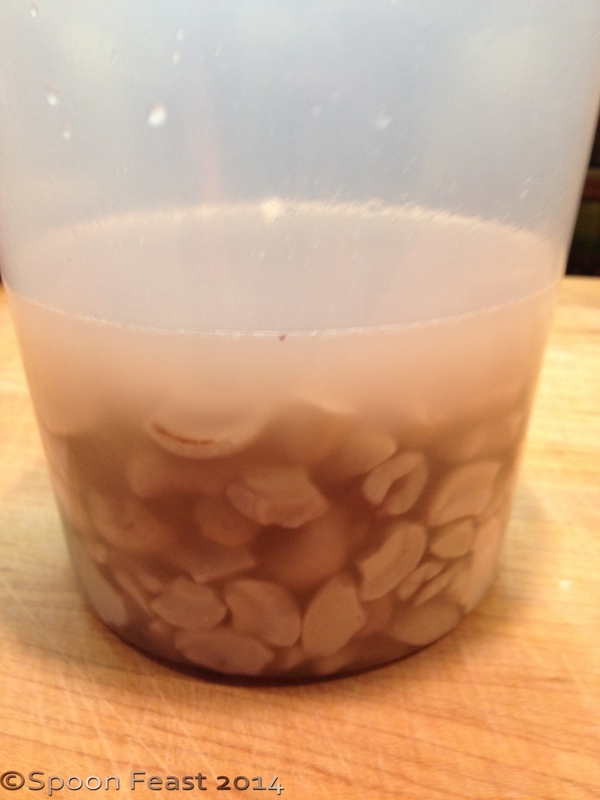 The consistency can be controlled by the mount of water added when pureeing the soaked cashews. It is best to soak over night or for 3-8 hours. Next drain the nuts, add them to a high-speed blender and process for 3-5 minutes or until the consistency is where you want it. Add clean fresh water to thin it out. If you want a ricotta consistency, use just a little water, for cream like, add a bit more. A good high-powered blender is strongly suggested for this in order to really get the cream smooth. I used both a Vita Mix and a Ninja blender, both worked just fine. I have not tried making it in a food processor just yet. Finish with a pinch of salt and a few drops or so of fresh lemon juice. With the cashew cream, I made a cashew Mac and Cheese. Take cooked pasta, toss it with cashew cream, a bit of shaved Parmesan and a few scallions and parsley. I filled a few small side dishes and warmed them in the oven and topped with fresh cheese shaving to serve. If you wanted to keep this dish vegan, you can use vegan cheese, but to me vegan cheese isn’t “real” cheese, so I use just a touch of the real stuff. 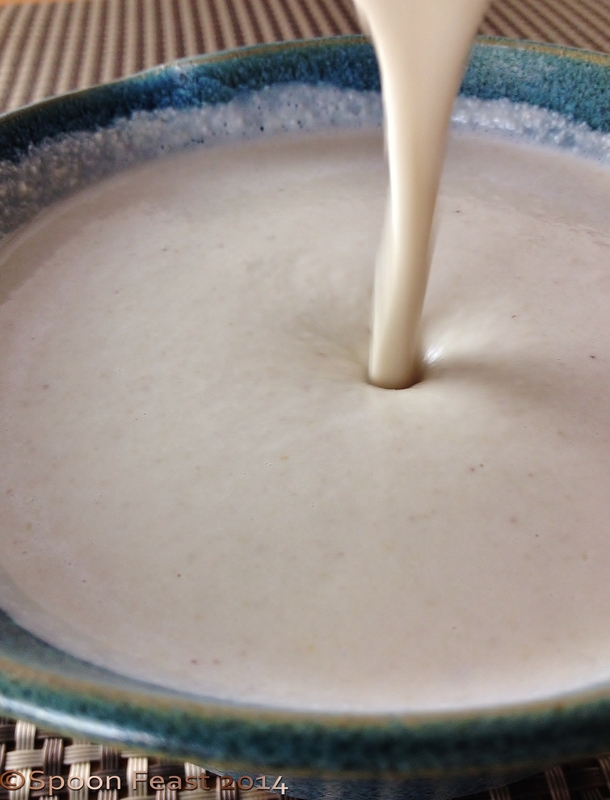 If using as a substitute for dairy cream on the stove, stay with it as it will thicken much faster than regular cream. Make creamed corn or spinach, a creamy broccoli soup or use it thicker and add chipotle peppers to top tacos or other Mexican dishes, use it to top baked potatoes. It can even be whipped to make a cashew whipped cream. And, if you have any left over, freeze it; or make ice cream! It is so versatile and handy to have an alternative to real dairy cream. This entry was posted in Cooking, Recipes and tagged cashew cream, cashew mac and cheese, cashews, vegan. Bookmark the permalink. 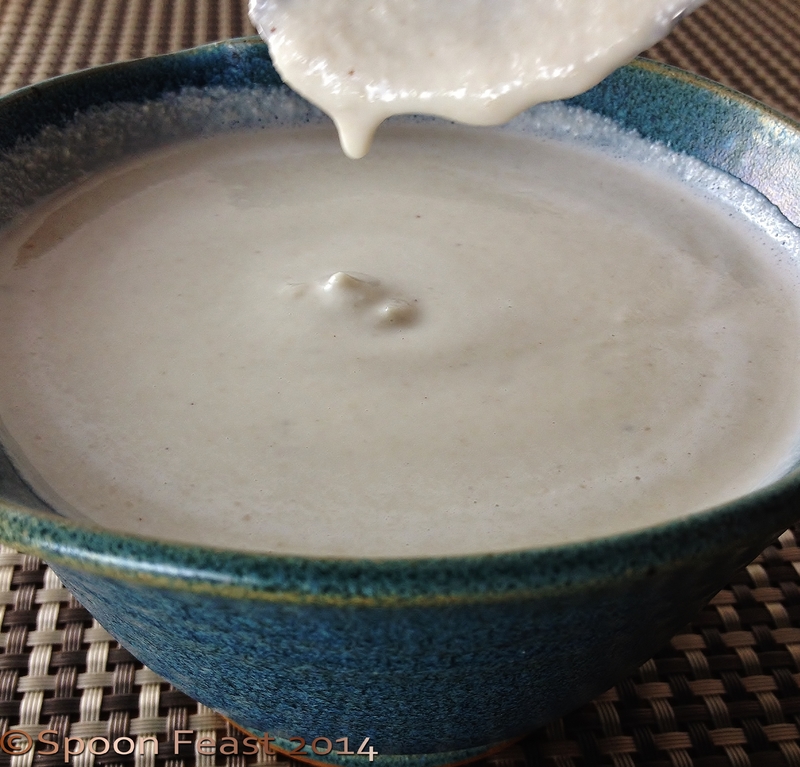 Cashew cream is one of my favorite additions to Indian food like kormas! Beautiful! Mimi, that sounds lovely! Thanks! Wait till you try it! We love it with the artichoke pasta. Thanks! Love your new avatar! Ninja blender, but it came out gritty. Any thoughts?? Keep blending and then strain it. I use the strained debris in making cookies since it seems so sad to toss it out. Same when making almond milk, strain it and use the debris elsewhere. To make the cream thicker, use less water and allow overnight to strain. Don’t push on the mass because you’ll press solids through into the milk or cream.